We offer our clients an exclusive range of Inventory Barcode Billing Software Installation Service. 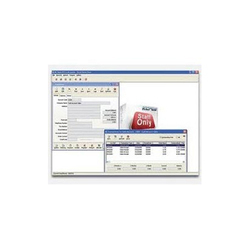 The Storage Inventory Software can track items based on various parameters which include lot numbers, batch numbers, item name, item group and more. The solution provides traceability of the stock across the life cycle of the item in the warehouse. Weblord Infotech's another product is Inventory software. In this software you can maintain your whole inventory in a single system. You can maintain Purchases, Sales and Stores with their respective reports and analysis. Velox Solutions Pvt. 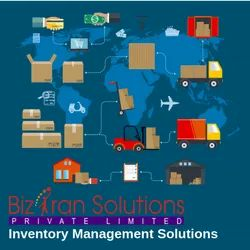 Ltd. is proud to introduce its Core Inventory Management System to you. An user friendly and sophisticated Software product for any type of Shops, Malls and store houses. Tracking and Monitoring of materials in the warehouse of the hotel .It has a Stock dashboard which alerts the user whenever the stock is short of the mandatory quantity available in the warehouse. Purchase, Issue management and Report Generation are also few of its functionality. This is a inventory software which can be used to main inventory of products in any field. If you are interested contact us, we have a demo version which you can see, will send you link to browse the demo version. Comprehensive solutions for maintaining stock by material transaction like inward, outward and internal movement or issue for fleet management or office management. Standard processes like reordering, stock valuation, stock consumption with cost center analysis are important activities of the inventory system. Inventory Software can provide you with the advanced functionality you require enabling you to regain control of your profits. The Stores and Inventory module is complete procurement and inventory management software regarded to meet the unique requirements of the Hospitality industry.